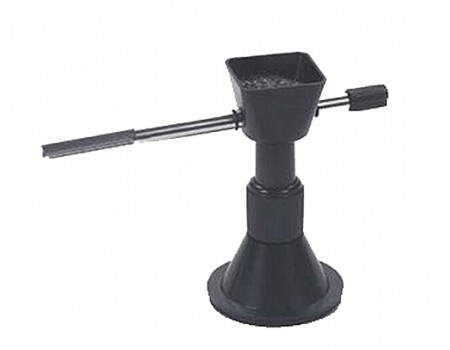 Lyman's E-Zee Flo accessory powder trickler features an adjustable base that adapts to even that highest platform. The powder trickler tube has an extension that allows use with electronic scales that have a larger platform base. The combination of the two adjustments allows use with any scale, electronic or mechanical.